Parvaaz Live At CounterCulture: The Behosh EP Launch | WhatsTheScene? Kashif Iqbal and Khaled Ahmed moved out of Kashmir a few years ago and have been involved independently with various acts since then in Delhi and Bangalore. The two friends found each other in Bangalore and Parvaaz was formed in 2010 with a different line up. Sachin Banandur and Fidel D’Souza soon joined the duo on drums and bass and have been regularly writing music and gigging since then. Parvaaz has just finished recording their first EP, Behosh. After countless hours of recording and spending most of their money on their new album they have produced something remarkable. CounterCulture on Friday the 13th, July, saw Parvaaz take to the stage for the launch of their much awaited album which was officially released with the members of Swarathma on stage with the band. Their music is surprisingly fresh and original. It’s definitely the rock n’ roll that we know and love but it’s especially hard to pigeonhole a band like Parvaaz into any sub-genre. They have managed to seamlessly blend in elements of Hard Rock, Blues and Psychedelia into a sound that is uniquely theirs. The lyrics are mostly in Urdu and Kashmiri and draw from their personal experiences and there is considerable depth to them. The first time I heard the name Parvaaz , which is Urdu for “flight”, was through their drummer Sachin Banandur. Sachin started his musical journey by playing the Daf when he was just five years old to accompany folk musicians in his native village of Bananduru. He has a very feel-based style of drumming which I really enjoy and has an intuitive knack for picking up odd time signatures. During this time I was very unfamiliar with their music except for bits of demos that they had been recording. I really had no idea what to expect. The first track from their set, ‘Shabaan’ completely threw all my preconceptions about “Sufi Rock” out the window. Many have incorrectly labeled their music as “Sufi Rock” which has something to do with the irresistible urges that people have about putting everything into categories. Khalid, the band’s frontman told me he has no idea what Sufi even is. The next track ‘Lolmatlai’ from their new album is a song about love, not towards anyone or anything in particular. The entire song is in Kashmiri and the word ‘lolmatlai’ itself means caring and unconditional love. It’s an emotion that can be related to anything at all. When I asked Sachin about the song and the meaning behind it he mentioned how he gets goose bumps every time he plays it live. The song really emblematizes Khalid’s voice. Throughout the history of rock n’ roll, there have been messianic figures leading the charge, those special, intense, magnetic front men who inspire a level of devotion otherwise found in only religion and football. Next up was ‘Khufia Dastaan’. Their music keeps you hooked in from the start till the very end like a journey through the valleys of Kashmir. I could hear a heavy influence of The Doors, Pink Floyd and Led Zeppelin in their sound – just my kind of music! Khalid’s voice takes this already intense instrumental section to another level. ‘Itne Arsey Ke Baad’ was written two years ago and relates to Kashif and Khalid’s experiences on being separated from their homes. It talks of missing home and being taken in by all the distractions when away. The music is beautifully haunting at times. “Kab tak aise jiyein, kab tak haske sahein. Duniya ke sara nasha, kab tak aise piyein” is probably my favorite lyric from the Behosh EP. The lyrics will give you some serious food for thought and from what I understand both Khalid and Kashif have been influenced by Kashmiri poetry and literature. They followed up with ‘Laale Zaar’, ‘Mastaan’, ‘Zikr’ and ‘Ziyankar’. 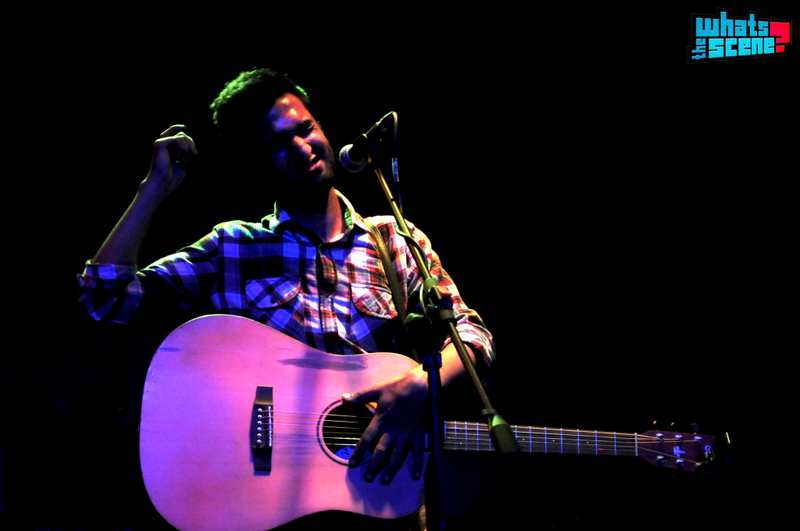 Parvaaz makes music that glows with meaning and a love for arts’ external power to touch the soul. They have an instinctive ability to express love, loss, happiness and heartbreak through exquisite melodies and complex arrangements. The music haunts and consumes in the best way possible. Playing the album a few more times makes it obvious that they have a firm hold on their inspirations, and are using it to guide them into a formidable future. Make no mistake, this is not throwback music, but genuinely progressive. Their 2011 release ‘Dil Khush’ (which is also featured on the EP) hinted at the blueprint which the band intended to use to map out an interesting body of work. There is a lot of depth, and layers of guitars, other instruments and extended drum solos. The last track they played was ‘Behosh’. The track offers a continuation of this approach, as Kashif offers some soulful lead guitar work and Ahmed uses his voice as an instrument, rather than merely intonating lyrics. And I must mention that the bass lines to me sounded like they were drawing inspiration from the other members of the band so as to add more texture to the songs. The four of them have great chemistry on stage. You need to watch them live to get an inkling of what I am talking about. The song is about a man describing a vivid dream he had, which encompassed his entire life and the struggle in it. When he wakes up his inner voice tells him how naive he had been throughout and how worldly pleasures have distracted him from what is truly important. At this point the atmosphere at CounterCulture was electric. If they can manage to continue with this much vitality and passion all the way through, we might be onto the makings of something legendary. At the end of their set, the band gave their heartwarming thanks to everyone who was present there and to everyone who made the event possible. You could tell from the way the four of them looked at the audience that that moment was a microcosm of what they have gone thorough as a band, the good and the bad. It was a wonderful, uplifting moment that demonstrates exactly why the fans of this band really connect to the music at a higher level.